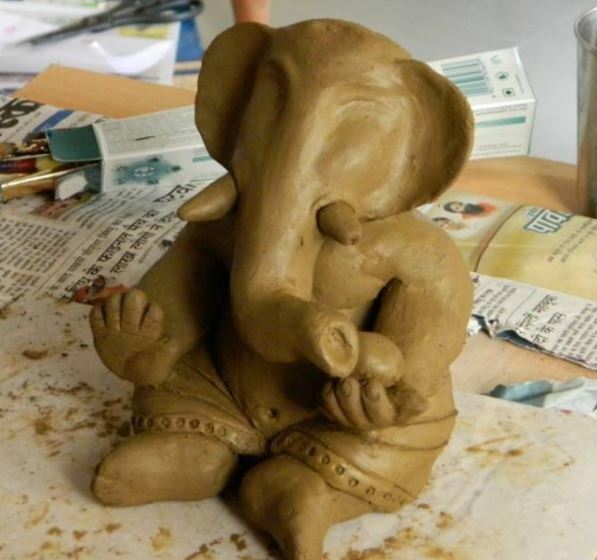 Check out these easy steps to make eco friendly Ganpati idol at home. 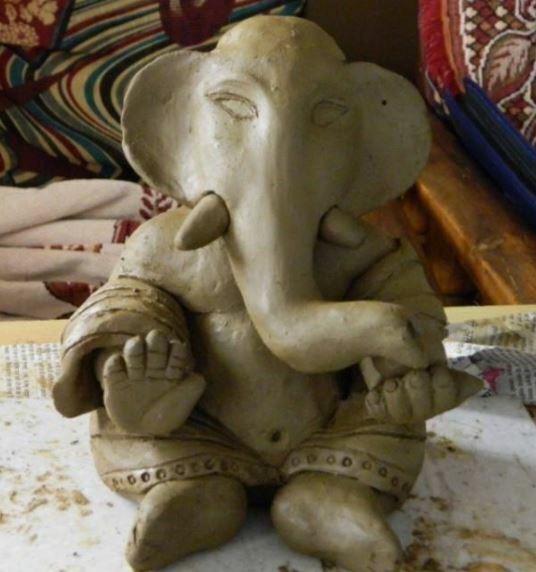 You can use a variety of material to make environmental friendly idol of lord Ganesh. 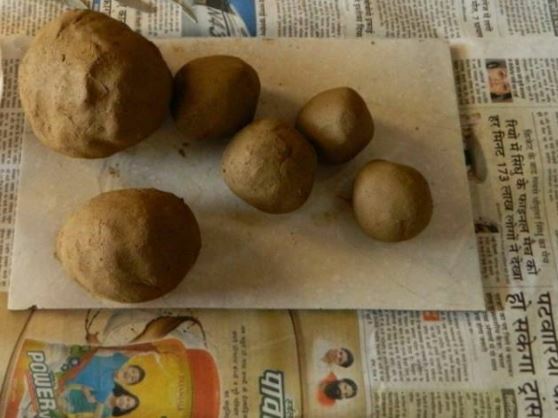 Go for mud, shadu clay, flour, paper or paper mache. People have woken up to this cause and are coming up with innovative ideas. 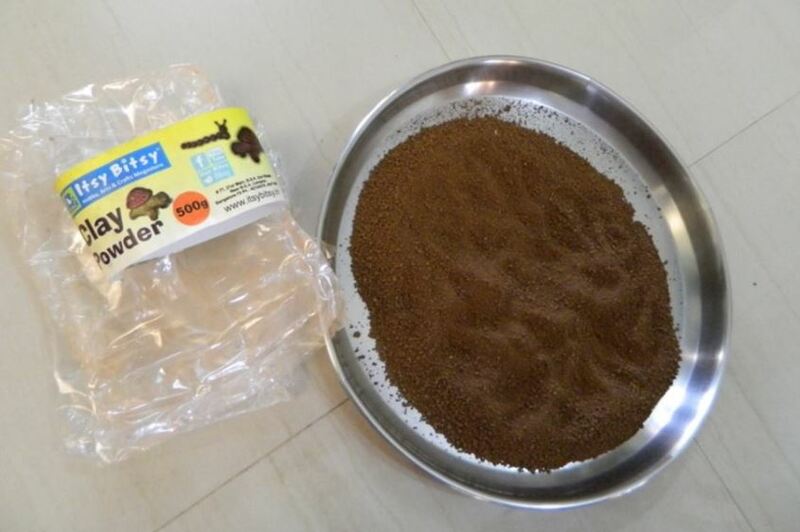 These materials are bio-degradable and non-toxic. They don’t harm the water bodies in which they are immersed. 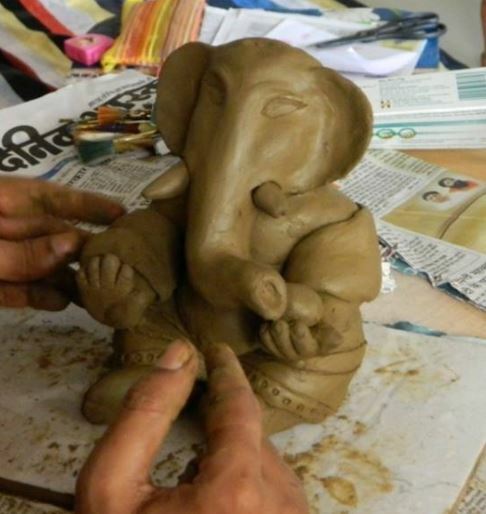 Take a look at these easy steps to make eco friendly Ganpati idol at home. 2. Add water and make dough. Knead well to get a smooth texture. 3. Divide them into six parts. 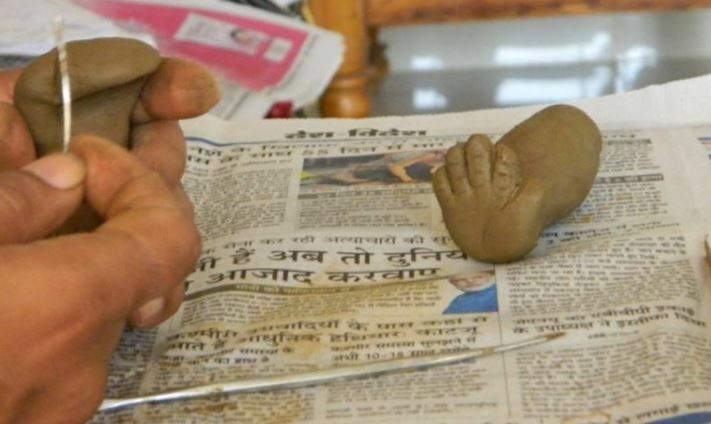 One for the body, one for the head, two for legs and two for making the hands of the idol. 4. 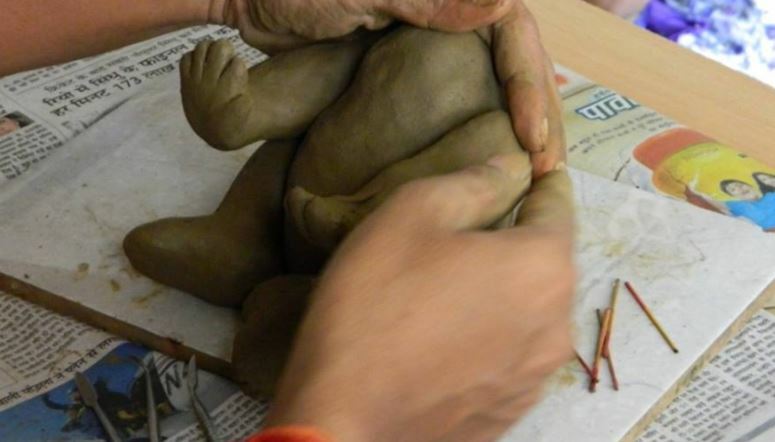 Start with the body; make an oval shape out of the clay and place it on the table. 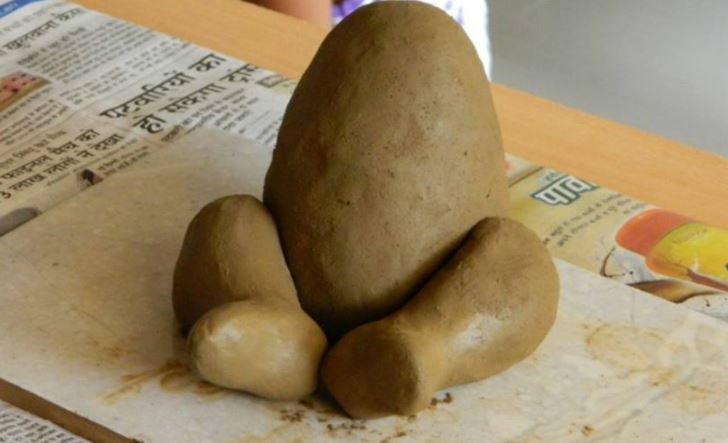 Make two carrot shapes and attach it to form the feet of Ganpati. 5. 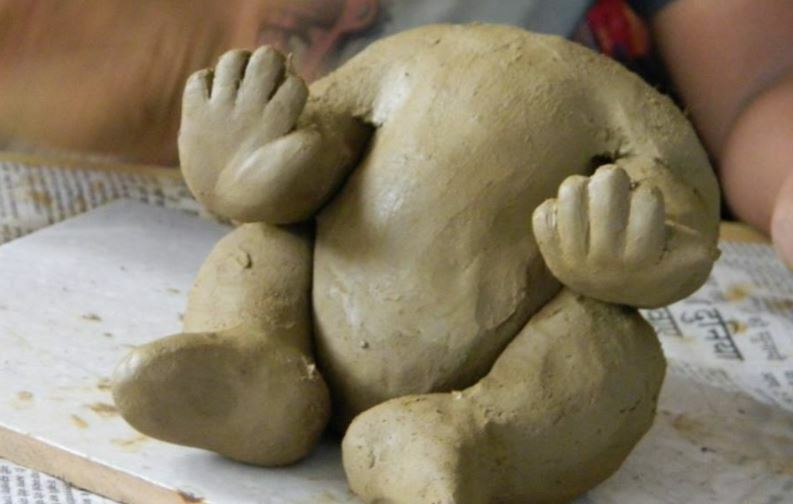 Take the clay we had kept for hands. Make arms and carve the palms. 6. Attach the hands to the body using toothpick. 7. 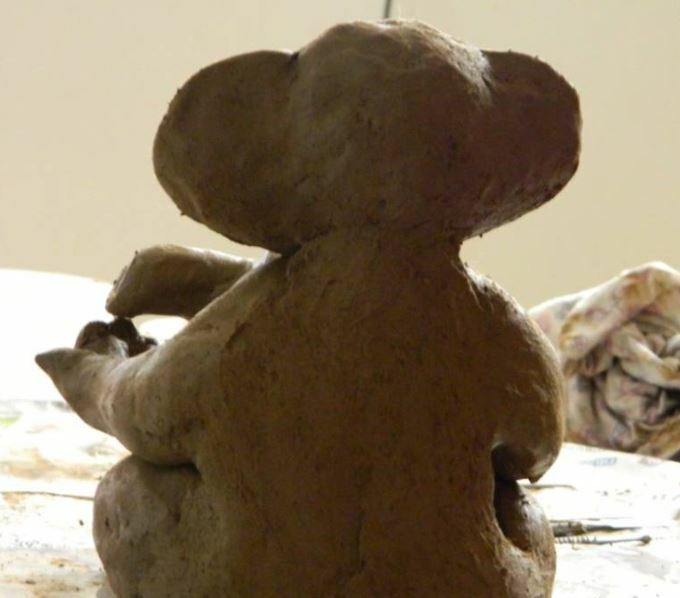 Add clay to make the shoulders. 8. 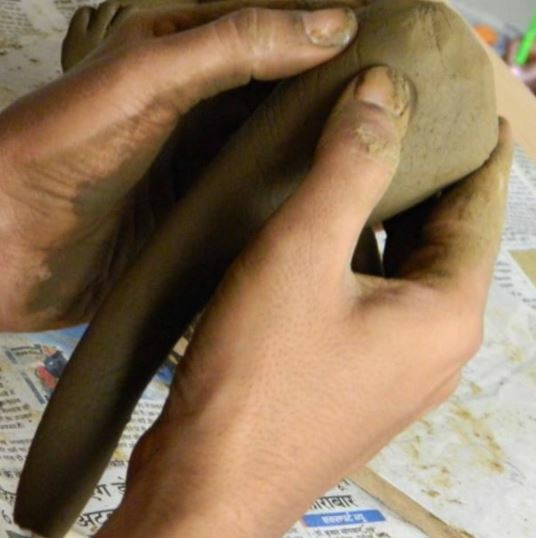 Use a bit of water to blend things up and get a smooth design. 9. 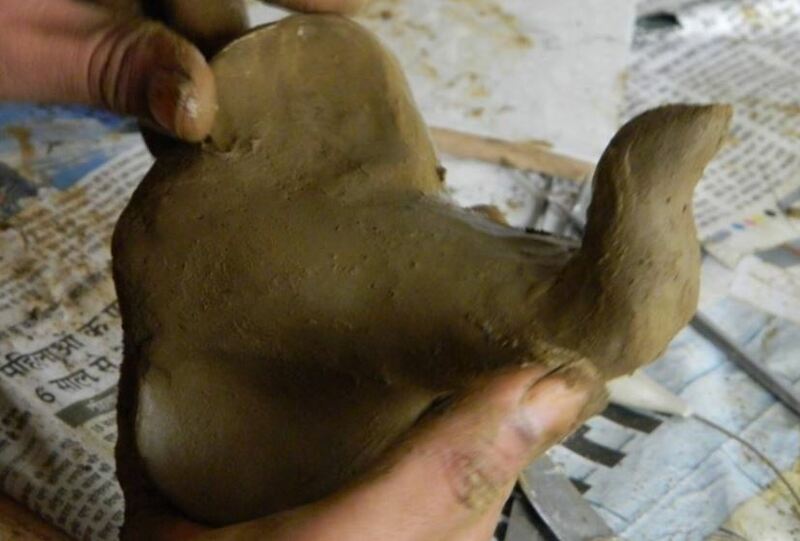 Add clay at the back to make it strong. 10. 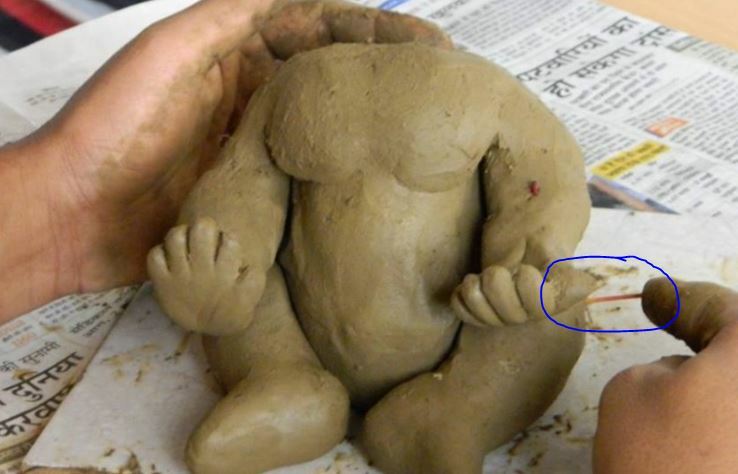 Use clay to give shape to the chest of the idol. 11. Secure the limbs by adding more toothpicks. 12. Lets start with the head. 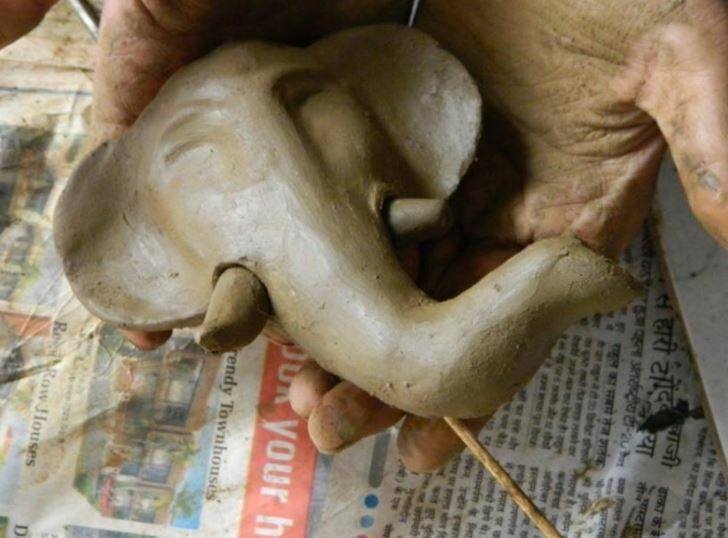 Roll the clay and create the trunk. 13. Use your fingers to make eyes. 14. Now, start working on the ears. 15. 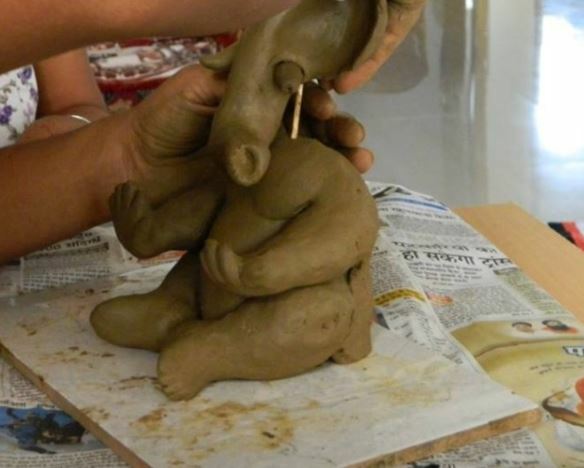 Looks very much like our Ganpati Bappa! 16. Twist or roll the trunk in desired manner. 17. 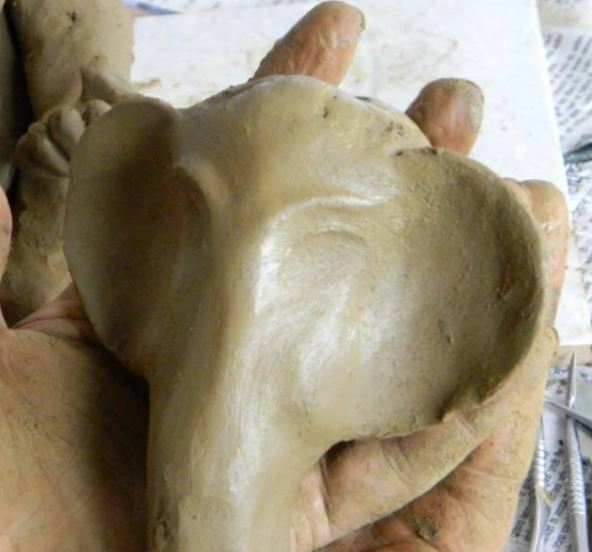 Add tusks and a toothpick at the bottom. 18. 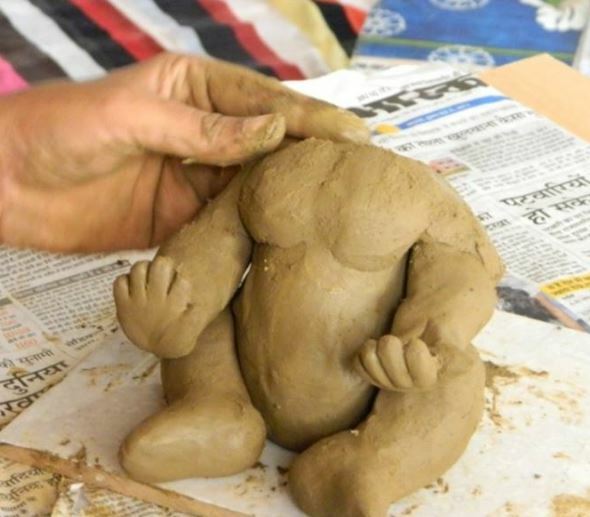 Fix the head on the body of Ganpati. 19. 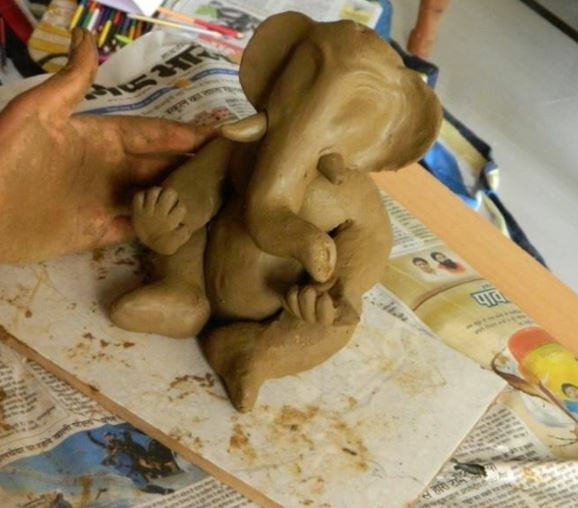 Ganpati idol is almost ready; you just need to add some finishing touches to it. 20. 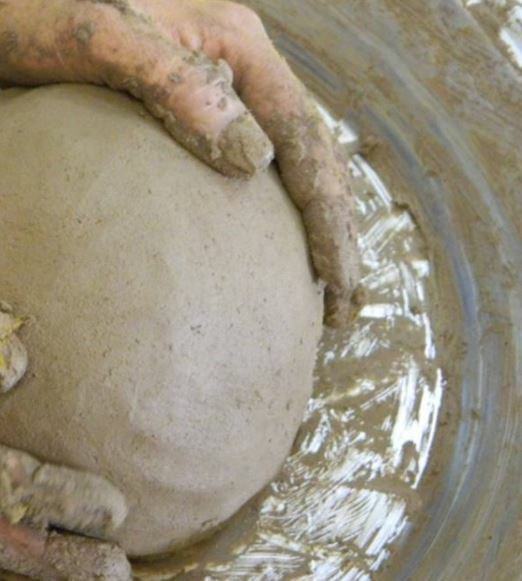 See to it that the clay is properly blended at the back. 21. Create dhoti for the deity. 22. 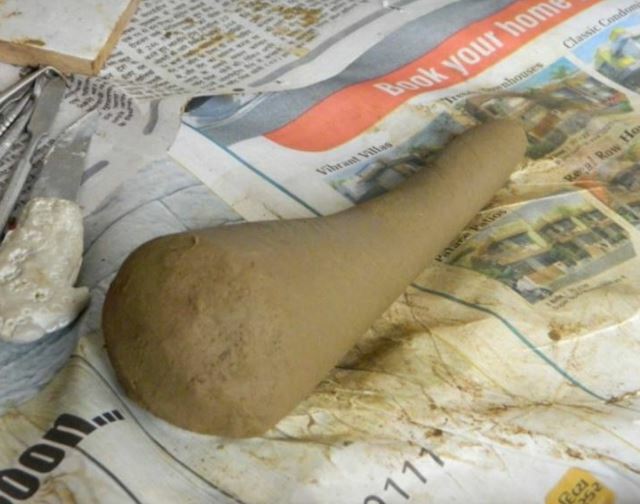 Take a small piece of clay and make stole out of it. 23. Place stole on both side and attach them firmly. 24. 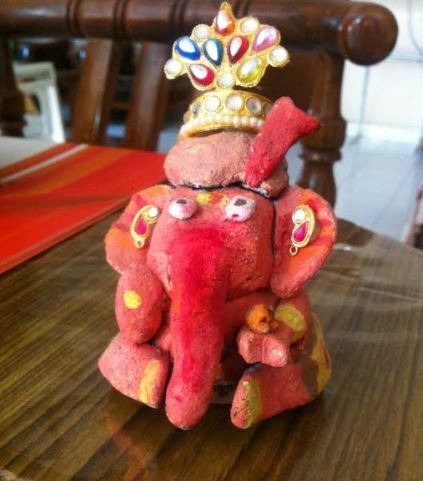 Now, your Ganpati idol is ready. 25. 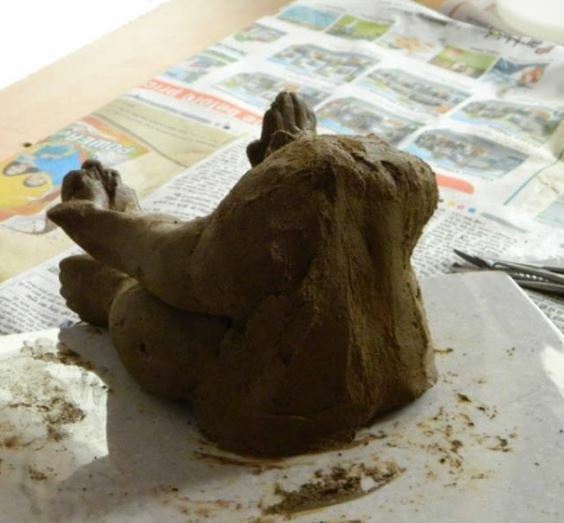 Dry the idol and paint it with non-toxic color. Decorate it by adding accessories to it. 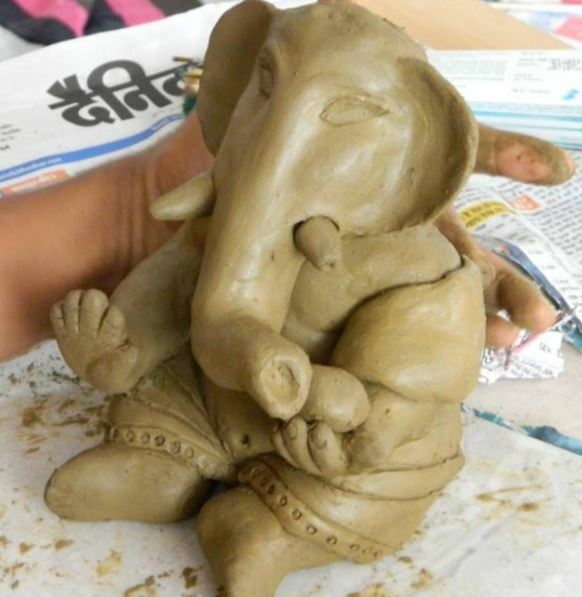 This entry was posted in DIY Crafts, Pooja Room and tagged Clay Ganesh Making at Home, Clay Ganpati Making at Home, How to Make Eco Friendly Ganpati Idol at Home, How to Make Eco-Friendly Ganesh Idol at Home, How to Make Ganesh Idol at Home with Flour, How to Make Ganesh Idol at Home with Mud, How to Make Ganesh Idol at Home with Paper Mache, How to Make Ganesh Idol with Turmeric Powder, How to Make Ganesh Murti with Mud, How to Make Ganpati Idol at Home, How to Make Ganpati Idol at Home with Flour, How to Make Ganpati Idol at Home with Mud, How to Make Ganpati Idol at Home with Paper Mache, How to Make Ganpati Idol with Turmeric Powder, How to Make Ganpati Murti with Mud, How to Make Shadu Mati Ganesh, How to Make Shadu Mati Ganpati, Make Eco-friendly Ganesh Idol at Home, Make Eco-friendly Ganpati Idol at Home, Make Ganesh Idol at Home, Make Ganpati Idol at Home, Steps to Make Eco Friendly Ganpati Idol at Home by Homemakeover. Bookmark the permalink.